Welcome to Love Leabhar Gaeilge’s first blog, as the name suggests we want you as readers to Love reading contemporary Leabhar Gaeilge. 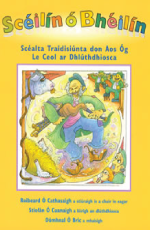 This blog will share interesting information about all our Irish contemporary titles from Irish language publishers, suitable for children learning the language to avid Irish children and adult readers, it will also share book reviews , interviews with authors, videos and informative information regarding book and writing festivals in Ireland. To tell you a little bit about us, Love Leabhar Gaeilge was set up in 2014 the aim of Love Leabhar Gaeilge is to encourage the joy of reading through Irish and to encourage shops and libraries to stock more contemporary Irish books, the scheme represents all the major Irish publishers and is funded by Foras na Gaeilge. The Love Leabhar Gaeilge scheme operates through independent bookstores and libraries and each season we promote a new collection of both children and adult Irish books through scheduled marketing campaigns and participants of the scheme get additional online exposure on our social media platforms, Facebook, Twitter and Instagram. As 2018 celebrates Bliain na Gaeilge an international yearlong celebration of the Irish language both nationally and internationally Love Leabhar Gaeilge looks forward to scheduling events nationwide with participating shops and libraries. I encourage you to visit our website and see what Irish titles we’re currently promoting and why not follow us on our social media platforms to keep upated on all events.